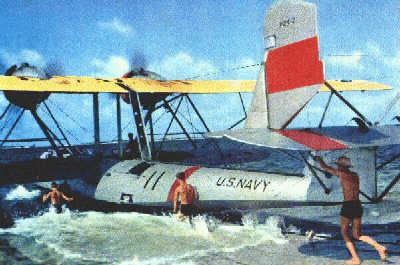 Patrol Squadron 21 (VP-21) was commissioned on 1 September 1938 at Sand Point, Seattle, Washington. 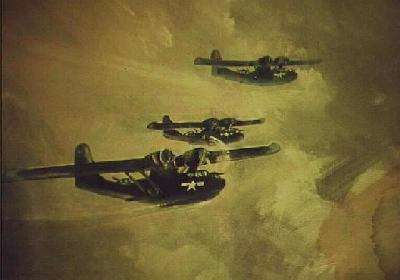 The squadron flew six P2Y-2 aircraft. The P2Y-2 was the forerunner of the PBY, built by Consolidated Aircraft Corporation in San Diego, California. It was a bi-wing amphibious aircraft with a hand cranked inertia starting system. The United States Navy, for reasons unknown, redesignated the squadron from VP-21 to VP-45 in August of 1939. In November of 1939 the designation was changed again. This time to VP-14. It was the birth of VP-14. From 15 April 1941 to 1 July 1941 the squadron designation was again changed. This time to VP-26. The designation was changed back to VP-14 on 1 July 1941. 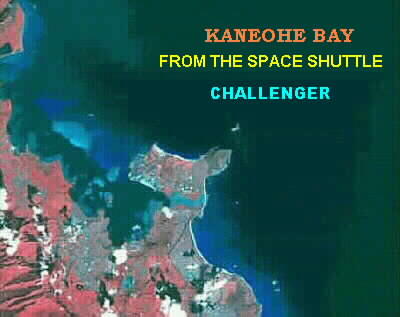 VP-14 was located at Kaneohe Bay, T.H. when the Japanese sneak attack occurred on 7 December 1941. Three of VP-14's aircraft were airborne on patrol when that disasterous attack occurred on Pearl Harbor, NAS Kaneohe, Schoffield Barracks, Hickam Army Air Corps Base and other military installations. Patrol Squadron 14 , operating under the authority of Patrol Wing One, served in many locations throughout the Pacific Theater during the early years of WWII. Segments of the squadron were often sent to various locations in order to satisfy the needs of the Pacific Fleet. Locations and battles that are common knowledge among the members of VP-14 have long since been forgotten by the generations who have followed. Long forgotten are such names as Canton Island, Suva, Wallis Island, Levuka, Noumea, Efate, Nadi, Johnson Island and Palmyra. Only the memories remain. On 15 February 1943 the PBY, now obsolete, was replaced with the PB4Y-1 Liberator, a faster and more heavily armed aircraft. Most of the members of VP-14, along with appropriate equipment was transferred to form the nucleus of Bombing Squadron 102 (VB-102). The squadron had distinguished itself thoughout a wide area of the pacific during the early years of WWII. All members can well stand proud for the accomplishments and deeds performed during the era of Patrol Squadron 14. In the Navy's terminology, "WELL DONE". Most of the members of Patrol Squadron 14, as well as appropriate equipment, was transferred to the newly commissioned Bombing Squadron 102 (VB-102). The squadron was commissioned on 15 February 1943 at NAS Kaneohe Bay, T.H., LCDR Bruce Van Voorhis Commanding. The Navy had acquired an allotment of B-24 aircraft and assigned them a designation of PB4Y-1. VB-102 would be the first Navy operational squadron to receive the aircraft. Archive records indicate that VP-14 later became VPB-14 and still later, VPB-197. The squadron operated out of NAS Kaneohe Bay until transition training was completed. 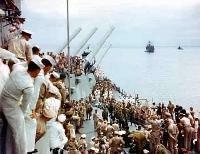 On 19 April 1943 aircraft and crews proceeded to Carney Field, Guadalcanal via Espiritu Santo. On 1 May 1943 deployment was complete. 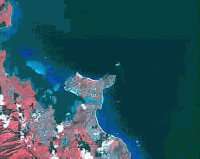 All personnel and aircraft had arrived at Carney Field, Guadalcanal, Solomon Islands. Compliment consisted of 52 officers, 160 enlisted men and 15 PB4Y-1 Aircraft. 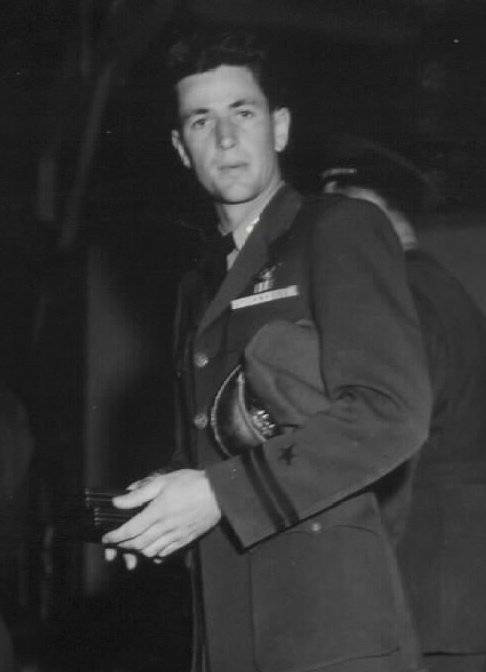 On 6 July 1943, LCDR Bruce Van Voorhis, Commanding Officer of Bombing Squadron 102, was lost while bombing the Japanese held island of Kapingamarangi. Subseqently Gordon Fowler was named Commanding Officer and Curtis F. Vossler Executive Officer. On 14 October 1943 VB-102 arrived back at Alameda NAS. All personnel were issued orders for leave and reassignment. 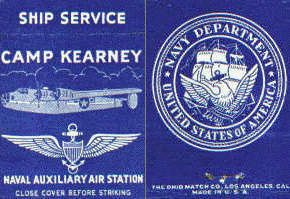 Many of personnel would receive orders to report to NAAS Camp Kearney in San Diego, California. The combat experience of these officers and men would be valuable in the reforming of VB-102 for deployment on a second tour. Primarily, personnel who had completed tours in VP-14 and VB-102 were reassigned to other duty, although some returned for a third tour of duty. Many who had completed only one tour of combat duty would be reassigned to VB-102 to complete a second tour. On 14 February 1944 Bombing Squadron 102 began to reform for a second tour of duty at NAAS Camp Kearney, north of San Diego, California. The squadron designation was still Bombing Squadron 102 (VB-102), but that was to change later. LCDR G. Russell Pearson was named Commanding Officer with LCDR Ted W. Marshall as Executive Officer and Lieutenant Jesse Jolly as operations officer. Although training was only 88 percent complete, due to a shortage of aircraft, the squadron was ordered to NAS Kaneohe Bay, T. H. to complete training and proceed to the forward area. 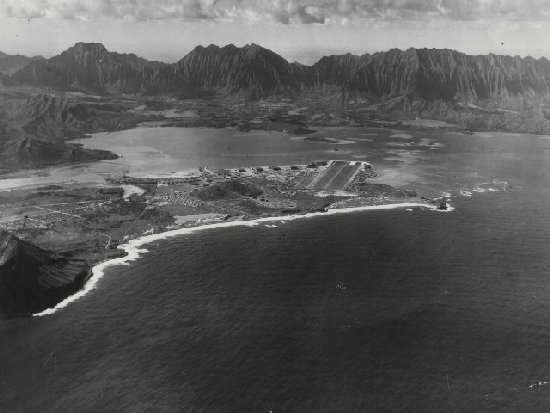 During the second week of July, three planes departed each night for Kaneohe Bay. Training continued during the month of July and the first ten days of August. 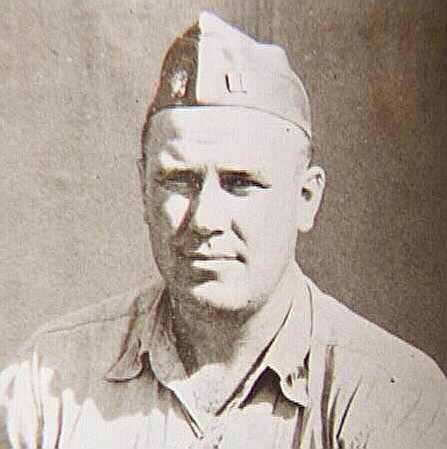 The second week of August the squadron deployed to Eniwetok atoll, in the Marshall Islands, to fly long range patrols as the invasion of Saipan and Tinian commenced. Operational control was under Commander, Fleet Air Wing Two, Commander, Forward Area. When the northern area of Tinian was secured, during the last week of August, the squadron deployed to North Field, Tinian in the Marianna Islands. On 1 October 1944 the squadron designation was change to Patrol Bombing Squadron 102 (VPB-102). All squadrons flying the PB4Y-1 and the PB4Y-2 were redesignated VPB. West Field, Tinian was constructed primarily as a B-29 base with four runways of much greater length than North Field. The squadron moved to West Field, the move being completed by 18 November 1944. Quarters in tents at North Field were swapped for Quonset huts at West Field. Long range patrols continued from Tinian until Iwo Jima was secured. At that time crews flew to Iwo Jima, fueled and patroled the area north and west of Iwo Jima to the Empire of Japan. By early August of 1945 the squadron was operating from Iwo Jima, Bonin Islands. On 6 August 1945, the first atomic bomb (Little Boy) was dropped on Hiroshima. 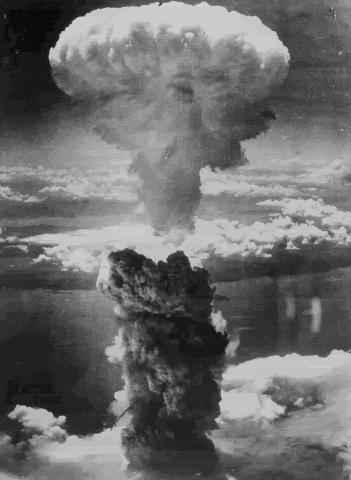 Three days later, on August 9, 1945 the second atomic bomb (Fatman) was dropped on Nagasaki. It was obvious at this time that the war would end soon. 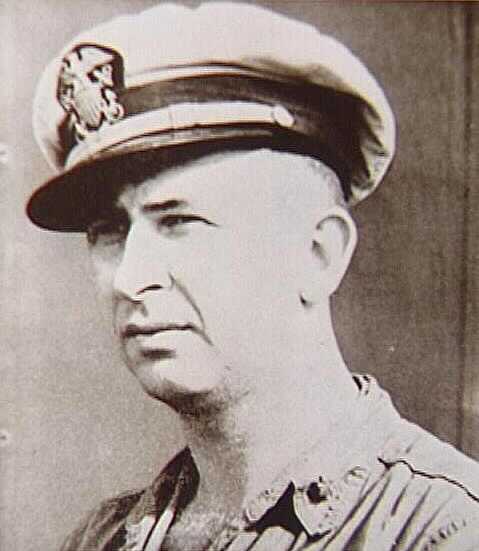 On 7 August 1945 LCDR L. W. Bates took command of VPB-102 and LCDR L. P. Pressler was relieved. 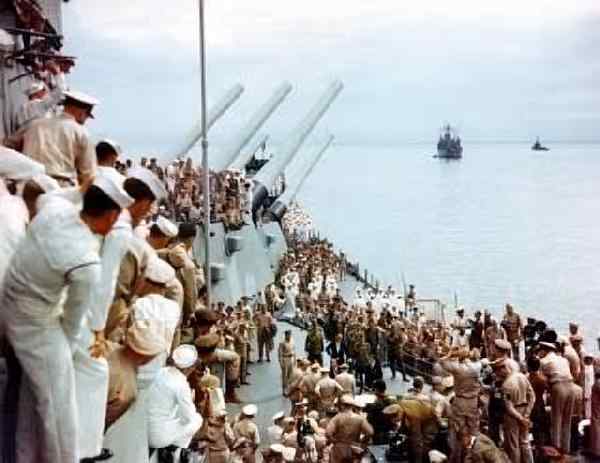 On 2 September 1945, aboard the battleship USS Missouri in Tokyo Bay, Japan surrendered unconditionally. The squadron would continue to operate in the pacific and on the west coast. 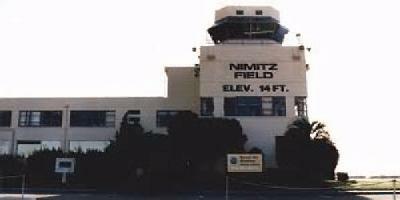 Changes in squadron designation and location would occur until 15 March 1994 when the squadron, then designated VP-22 would be decommissioned while at NAS Barber's Point, Hawaii. Here, the long history of VP-14, VB-102 and VPB-102 sadly ends.